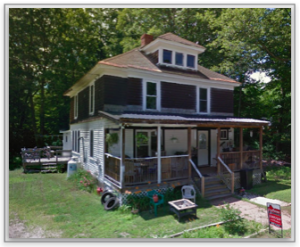 This Tuesday we’ll share a quick update on our complete green transformation of 198 Pond Rd. Bridgton ME and introduce our newest project in the same town located at 12 Green Street. Having received our complete Energy, WOW and Done packages, 198 Pond will definitely be a energy wise flip as soon as the record breaking snows melt. While a much smaller project in scope, 12 Green Street has both resale and rent potential. Join us tomorrow hear our thoughts on the matter and share your own. Either way this project is scheduled to take half the time and budget as Pond while yielding a nice return. We’ll be looking at sketch up floor plans and inspection pics. Hoping to keep the remodel at $50,000 or less, we’ll need to decide several key project elements to assure coming in on or under budget. If there’s time we’ll finish with a brief look at a multiplex in the same area also showing good investment potential. This entry was posted on Wednesday, March 26th, 2014 at 9:10 pm and is filed under Green Renovation, Investors Webinars, Real Estate Tips. You can follow any responses to this entry through the RSS 2.0 feed. Both comments and pings are currently closed.